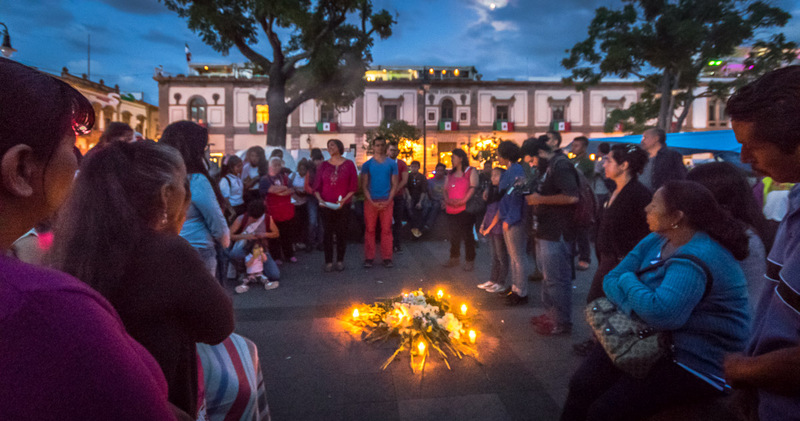 Under the rising moon, a glowing close. 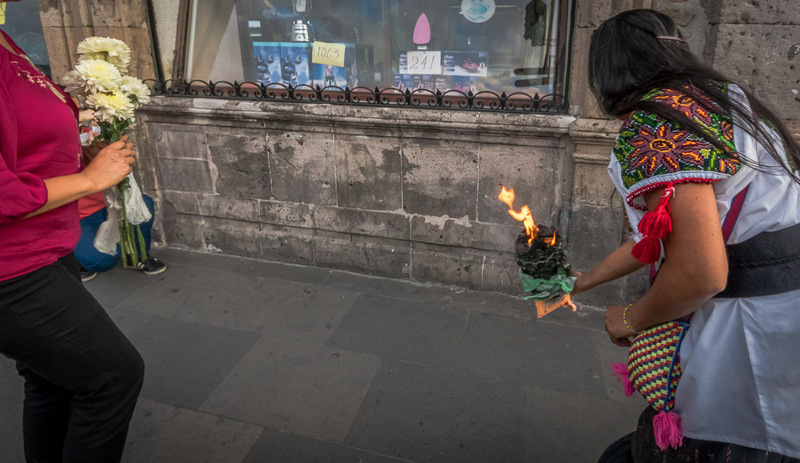 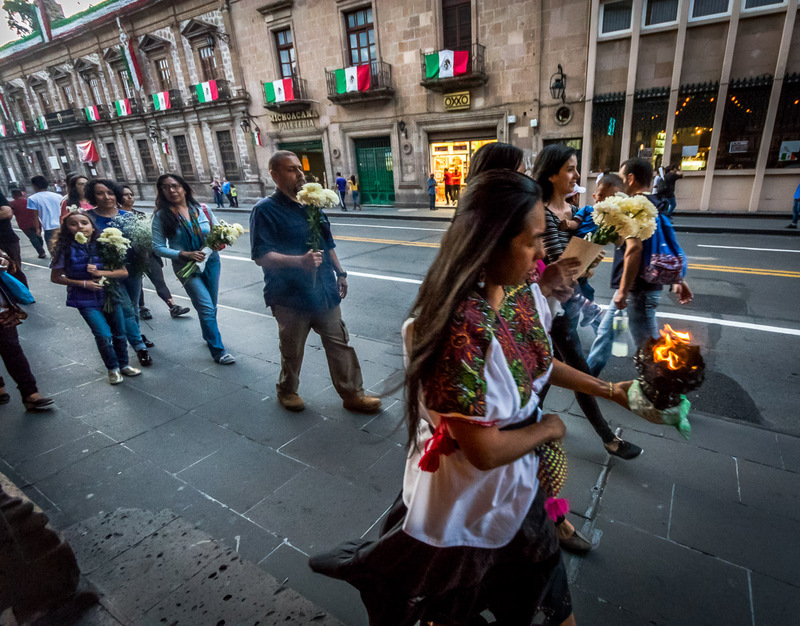 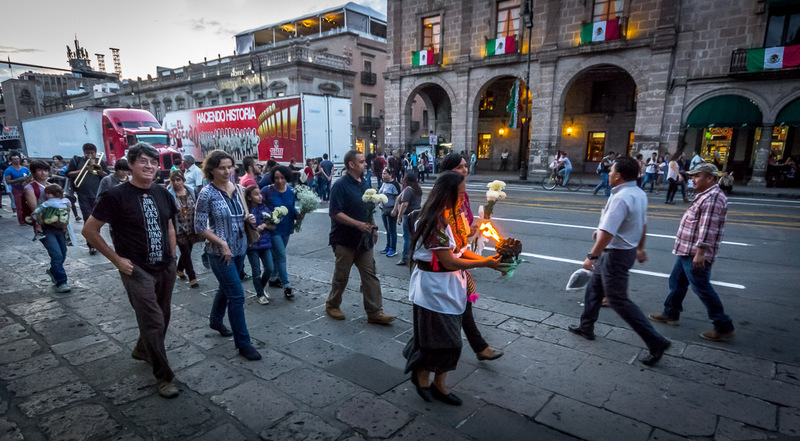 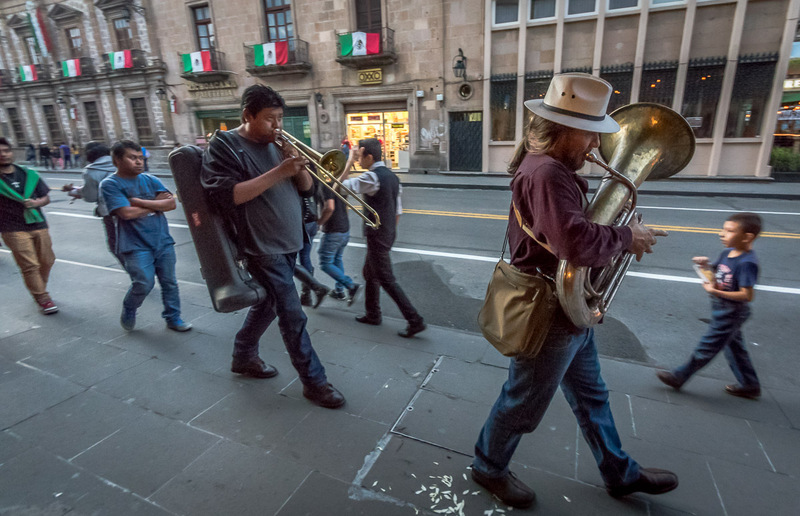 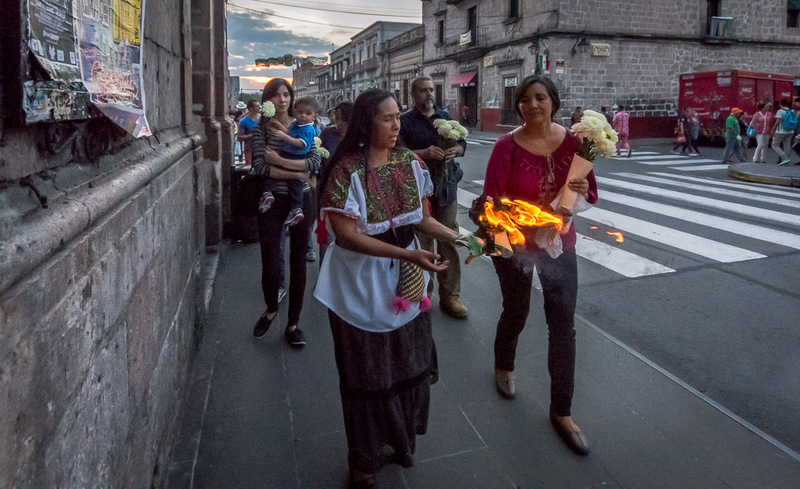 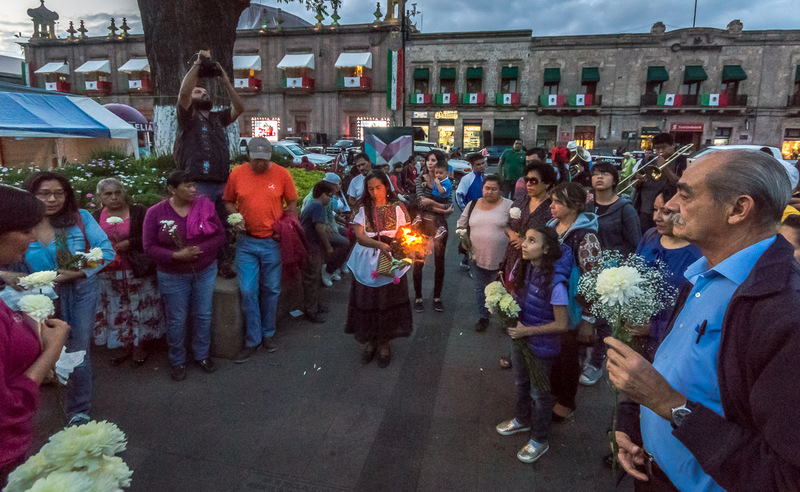 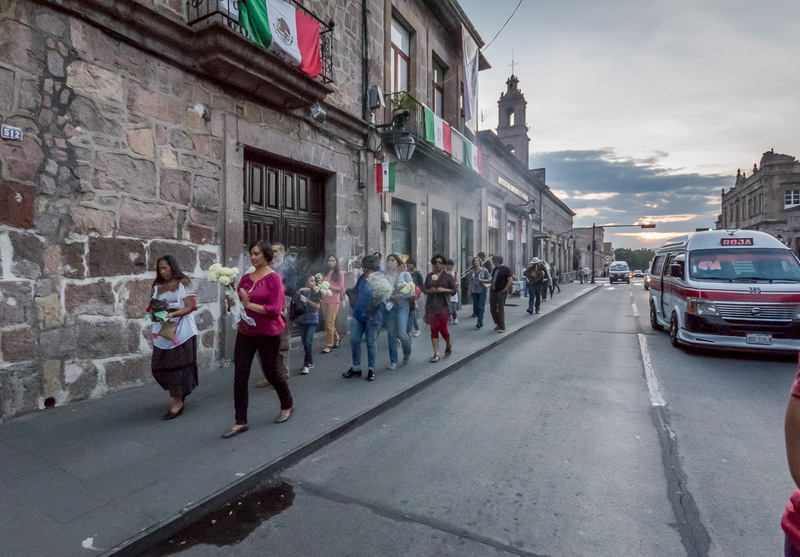 This was a march in memorial for the victims of the September 15, 2008 grenade attacks in Morelia that killed eight people, injured over 100 and left a lasting mark on our city. 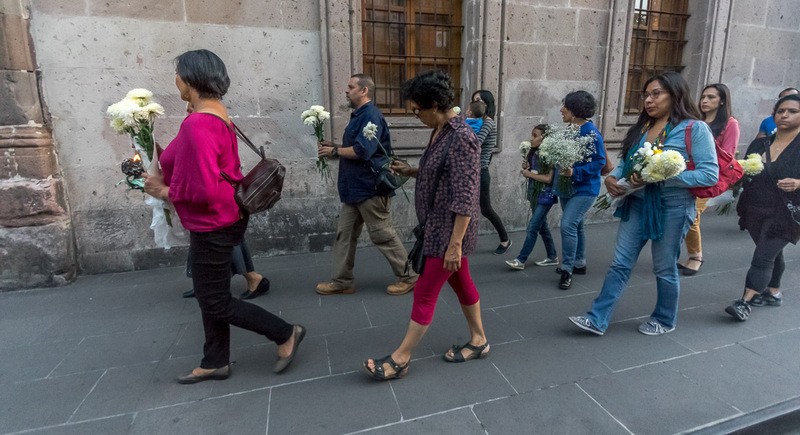 For many, it is a event we would like to forget. 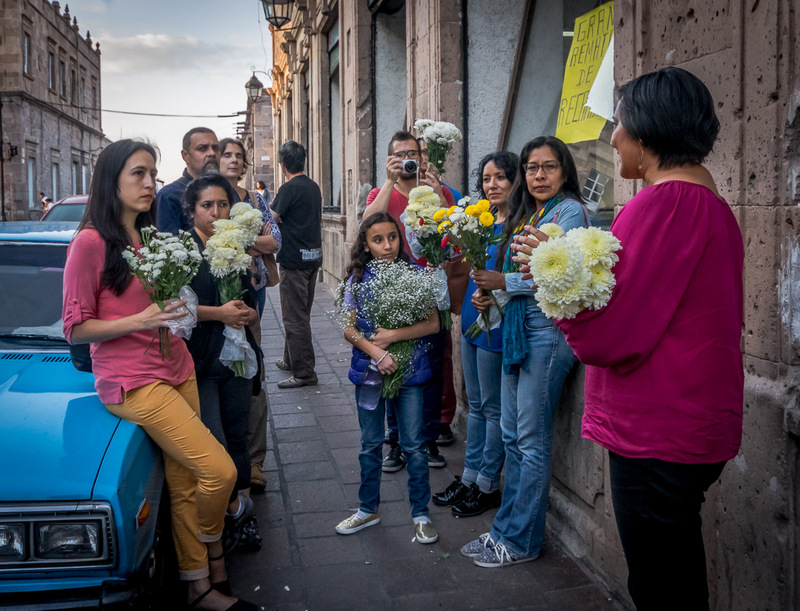 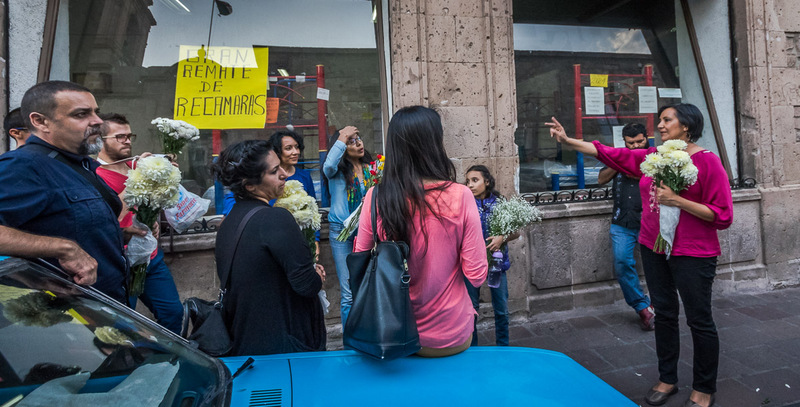 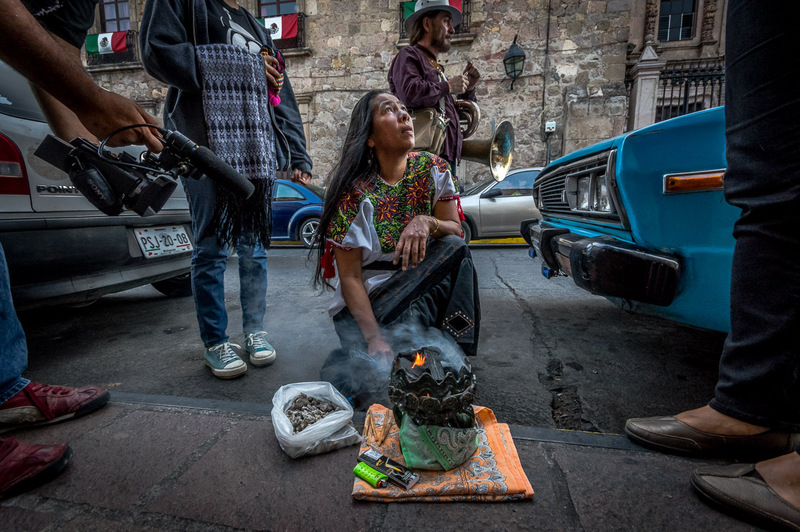 But, there are (of course) families and lives that were changed by this terrible event and a lasting impression that Morelia is an unsafe place to live. 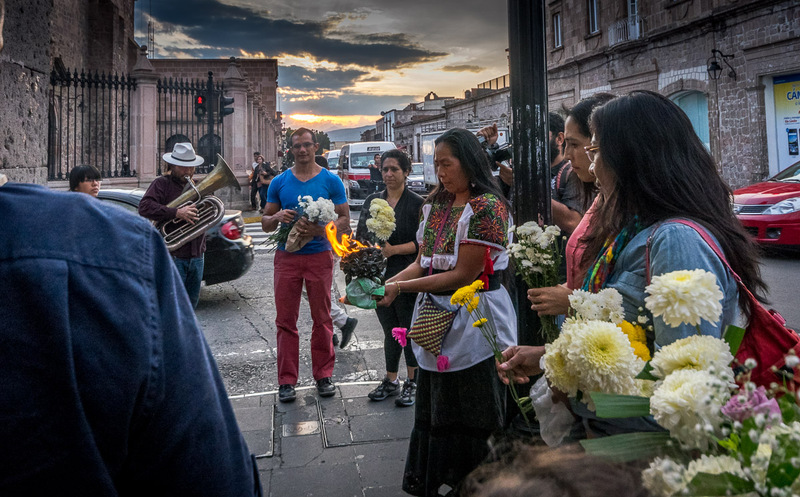 Our march started at La Merced on Madero, the site of the first attack and deaths. 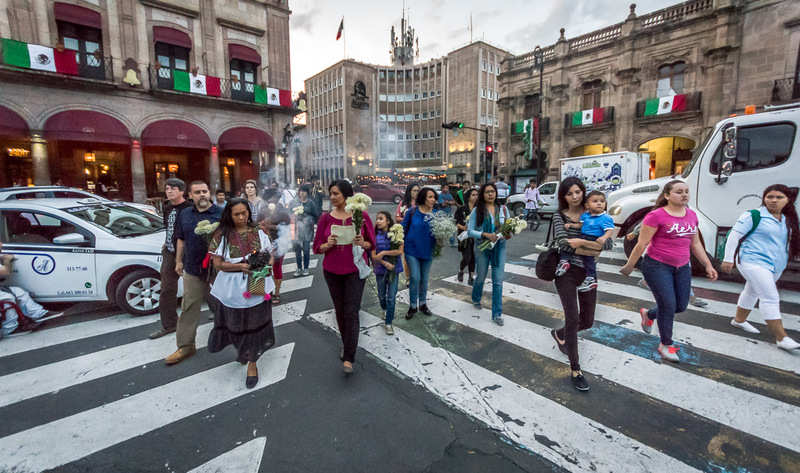 We continued down the street towards the plaza, picking up additional marchers as we went along. 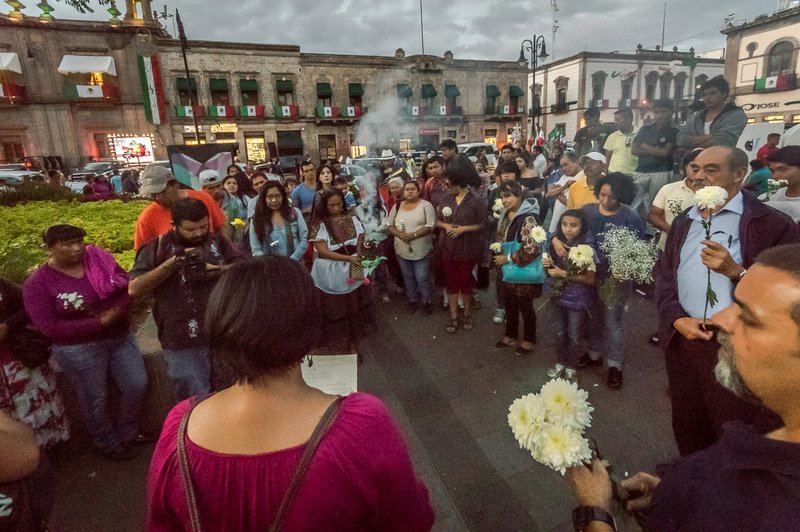 Our march ended at the site of the attacks in the plaza with a reading of names, benedictions, and reflections. 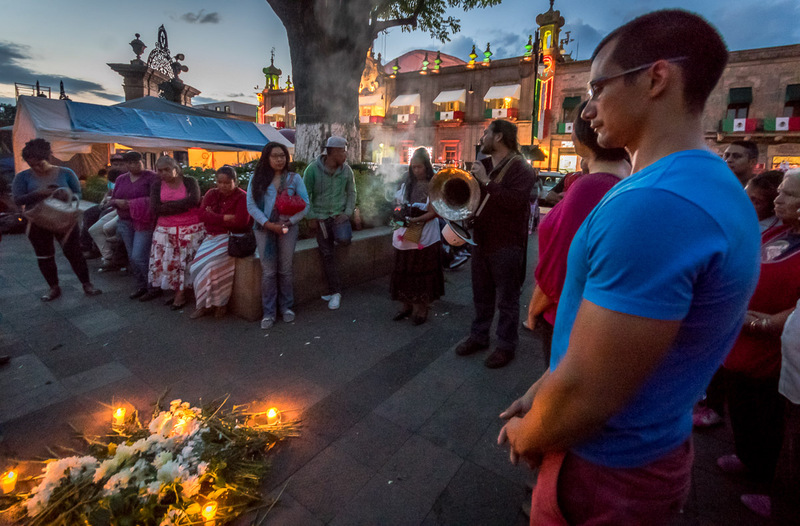 I’m glad I went – I wish more could have joined us – but I know how hard a memory it is.